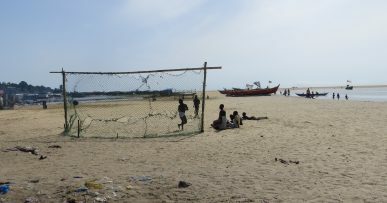 MONROVIA, Liberia–The African heat and humidity mingling with the smell of burning gas bombarded me as I stepped off the plane. The lush green jungle that framed the airport and the insect noises vibrating through the air overwhelmed me. 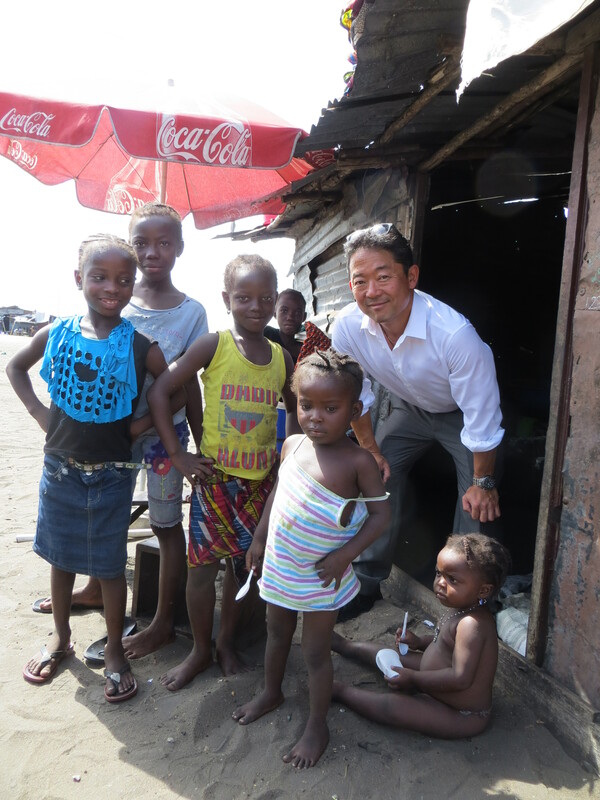 After a hellish 27 hour flight from California, it was a vivid welcome to Liberia. This West African country is home to 4 million people. In November 2013, we received a letter from Liberia’s Minister of Finance, Mr. Amara Konneh, of the Republic of Liberia. 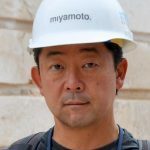 Its purpose was to invite Miyamoto International to visit Liberia to advise the government on low-income housing construction. After many years of vicious civil war since 1989, lack of proper housing remains a major issue. The Haitian government and the Minister of Finance of Liberia had discussed Miyamoto International’s work in the low-income housing sector in Haiti, which included the repair of 12,000 houses after the 2010 Haiti earthquake. This meeting took place at a summit and prompted Minister Konneh to visit Miyamoto’s offices in California to seek our consultation. 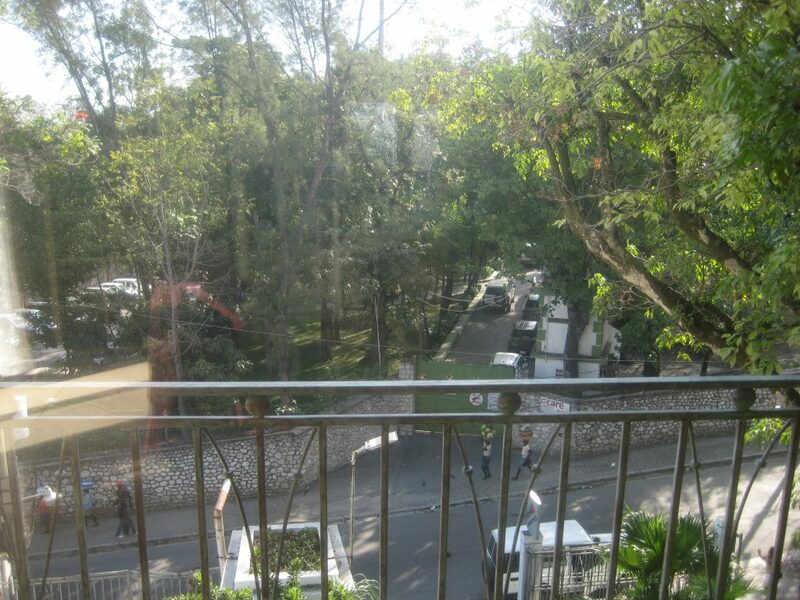 A view from a Monrovia hotel. In the meeting in California, Minister Konneh explained that the availability of affordable, well-constructed houses remains one of Liberia’s most pressing social and economic challenges. 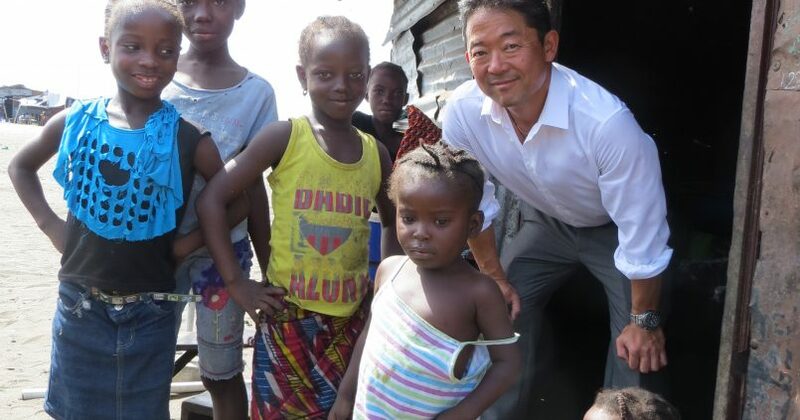 He told us that the vast majority of Liberian families living in cities reside in zinc-roofed houses that are small, dirty, wet and hot; these rent for high prices in overcrowded urban slums with little to no access to basic services. 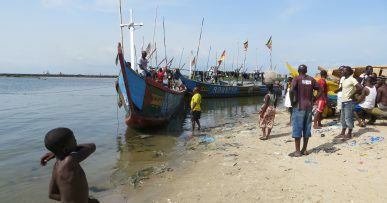 Liberia, a coastal West African nation rich in natural resources and culture, had suffered violent civil war between 1989-1996 and 1999-2003 that disrupted economic activities over an extended period of time and contributed to the severe impoverishment of the country. Most businesses were destroyed and investors left. 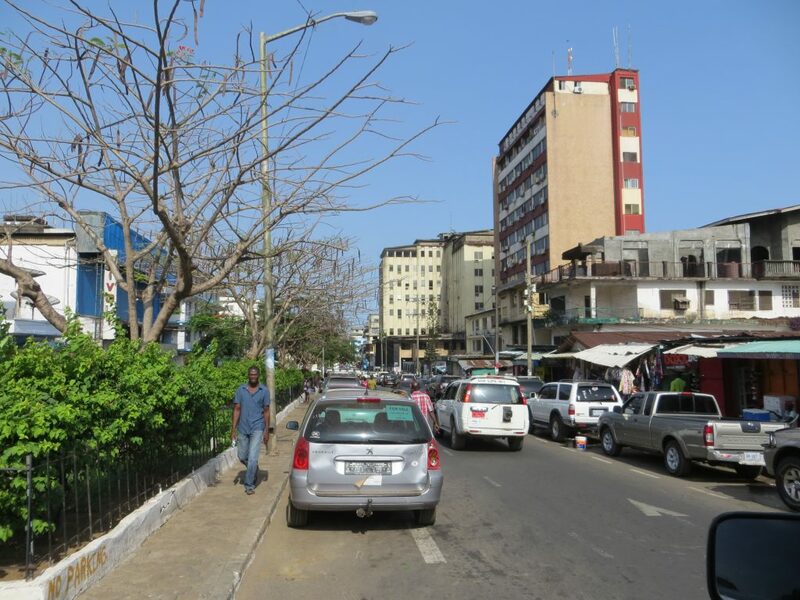 Once one of the few middle-income countries in Sub-Saharan Africa, post-war Liberia was ranked 182 out of 187 on the 2011 Human Development Index. I was honored to be invited on an official visit to assist the Government of Liberia in finding cost-effective sustainable solutions to improve the lives of the Liberian people and address the country’s pressing housing challenges. A joyous woman in tradition African attire and matching headdress escorted our team to the VIP airport lounge where Edmund Cojolo, the Chief of Protocol of the Ministry of Finance and our loyal guide and guardian for the week, awaited our arrival. He goes simply by Cojolo and is a tribal-origin Liberian. Built like a NFL defensive end, tall with broad shoulders, he is in fact one of the tallest men I’ve ever met; Michael Jordan would look short standing next to him. He never smiles, but is extremely professional. I was determined to make him smile in the five days I was there. Hanging on the wall of the lounge was a framed photo of Liberian President Ellen Johnson Sirleaf (Africa’s first female head of state) and Vice President Joseph Nyumah Boakai, who looked just like the man in the lounge sitting on the couch drinking coffee. When he stood up to greet us, it turned out he was, indeed, the Vice President. The Minister of Commerce and Industry of Liberia, Axel Addy, soon joined us. The typical architecture of Monrovia. With such an unexpected warm welcome to Africa, I was confident that the week ahead would be a rich experience. As we drove for an hour on a bumpy road through thick jungle to the capital city, Monrovia, my thoughts were deep in the upcoming trip ahead and what might await us. A red sunset on the African horizon burned in the west. Subscribe to my blog on the right side of this page (at the top) and travel with me through some of the highlights of my visit to Liberia – a place of culture, many challenges and a people who are welcoming, entrepreneurial and dedicated to effect positive change for the betterment of their country. It’s time for it to thrive after so many long years of civil strife. And they are ready.